LIIF recently hosted a conversation about unconscious bias and equity in the workplace during which staff discussed the moral and business case for diversity. 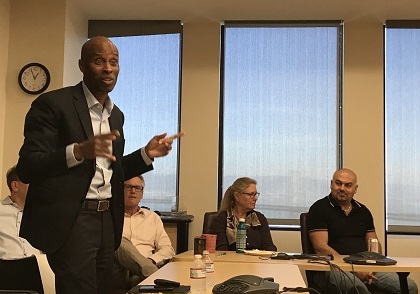 “Companies in the top 25% for ethnic diversity are 35% more likely to financially outperform the bottom 25%,” said Jonathan Mayes, the head of Corporate Responsibility, Diversity and Inclusion for the Albertsons Safeway grocery store chain. LIIF will be taking a critical look at our work to advance social justice and equity, both within our company and through our lending work and programs over the next year.